Sri Lankan Veteran Politician Dr. Wickramabahu Karunaratne said it is vitally necessary to understand the role of UNHRC in the modern global context. He said the dissolved condition of the government was seen in its poor electoral performance at the local government elections held last month. “The UNP did not launch a dynamic campaign. The opposition parties made use of the co-signed resolution to allege that the government was too subservient to foreign powers. They said ‘country sold to US’, to conduct an emotive campaign against the government. It used arguments of nationalism, patriotism and betrayal that showed, if not countered and crushed, its potential to sweep the government off its feet at other national elections to come. This has aroused the ‘for democracy peoples movement’ which has criticized both Ranil and Maithree,” he said. Despite this difficult situation, there is a positive role that the international community can play, he said, adding that its nurturing role of can be seen in the manner in which specialized international agencies have taken on responsibility for supporting the establishment of viable reconciliation mechanisms that the government has promised. “It would be more constructive for the international community to be supportive rather than add to the pressures on the government in a manner that would further undermine it electorally. An example of constructive support would be the role played by the International Committee of the Red Cross (ICRC).” He pointed out that for many years this organization has played a key role in gaining humanitarian access to the war zones of the North and East. 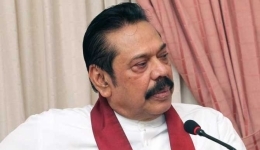 “Yes, it is true that the sessions of the UNHRC in Geneva no longer occupy media headlines as they did in the past when the fascistic Mahinda government used the occasion to confront the international community; but they are still very important. Because it does not mean that the country is able to deal successfully with the issues identified in the resolution. The suspicions and mistrust that continue to undermine inter nationality relations within the country are an obstruction to their implementation. The TNA and the Tamil Diaspora represented by the Global Tamil Forum have been urging the UNHRC in Geneva to extend the period of their scrutiny of the implementation of the resolution. This is because of their concern that if such international scrutiny ceases there will be even less incentive for the government to continue with the task. Tamil leaders were patient but were pressing the Yahapalanaya to implement the conditions accepted in the UNHRC agreement. A delegation of the TNA supported by the Global Tamil Forum, visited the United States of America at the time when Lanka has been under scrutiny at the UN in Geneva. TNA was with appointments secured from the relevant highest levels of authority at the UN, US Administration and Government and the Norwegian Government. Before that TNA continued engagement with the Government of Lanka to encourage implementation of 2015 manifesto commitments, and commitments made to all Lankans and the international community. Delegation included Sumanthiran, Lanka Member of Parliament of the Tamil National Alliance (TNA), and Father S J Emmanuel, President of the Global Tamil Forum (GTF), now resident in Lanka,” he said noting that among other serious concerns, the delegation discussed the need to demand the Government of Lanka to commit to a time bound implementation plan of resolutions 30/1 & 34/1 of the UNHRC and the need for UNHRC monitoring and oversight over Sri Lanka beyond March 2019. This, he said is a serious reminder!